HÀ NỘI — Vingroup’s VinSmart Company on Wednesday announced its Vsmart smartphones would be distributed in Spain by Media Markt. 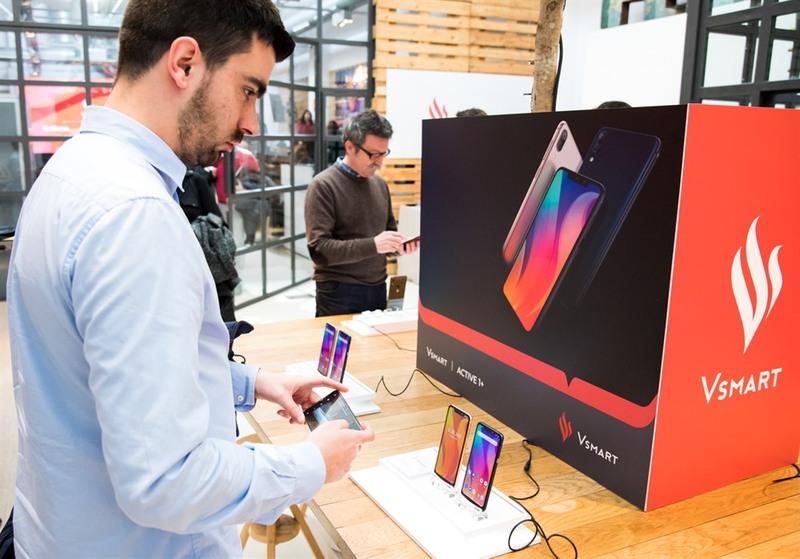 The Vsmart smartphone is the first Vingroup product introduced in Europe, showing the group’s ambition to bring Vietnamese technology to the international market. “Spain is an extremely important market for Vsmart, the first foreign market Vsmart set foot on, through a combination with BQ - Spain’s leading technology company that Vsmart currently owns 51 per cent of the shares. Spain will also be Vsmart’s gateway to conquer European market,” said Nguyễn Thị Bích Phương, Deputy General Director of Maketing, Vsmart Company at the launching ceremony in Spain. Vsmart products will be distributed through nearly 90 stores of Media Markt, a leading consumer electronics retailer with more than 35 years of experience and a presence in 13 countries. The four models of Vsmart smartphones to be distributed in Spain are Joy1, Joy1+, Active1 and Active1+. Of which, Active 1+ and Joy 1+ will be introduced in the first stage, followed by Active 1 and Joy 1. Vsmart products have passed nearly 2,500 standard tests (including hardware tests, mechanical tests and software tests) at BQ’s laboratory (Spain) and Vsmart factory. In addition, Vsmart is tested in the laboratories of Qualcomm, the best supplier of semiconductor chip in the world today. Vingroup expects Vsmart phones to start the development of an ecosystem of electronics, intelligent technology and AI-enabled devices that contribute to making life more convenient for Vietnamese people.